Huge sale for First Week of Advent! Radio Today: "A Cup of Tea With Donna-Marie" LIVE! Here's a bit of information posted previously (and new information below)...I'm happy to tell you that I'll be doing a new radio show on a regular basis. I'm calling my show "A Cup of Tea with Donna-Marie." I'll be discussing all kinds of Catholic family issues with Cheryl and Jim Manfredonia of Domestic Church Media Foundation. It will be at 4:15 PM Eastern time on the first Friday of every month. Today is not a first Friday but we needed to reschedule due to a freak snow storm. Listeners can tune in through the website http://www.domesticchurchmedia.org/ and click on LISTEN NOW for STREAMING LIVE. http://www.tunein.com/ and search for WFJS and listen that way...also free. My next segment for "A Cup of Tea With Donna-Marie" will be TODAY Friday, November 18th at 3:15 Eastern time. We'll be chatting about all kinds of Catholic things including the saints! Join us for a soothing "cup of tea!" 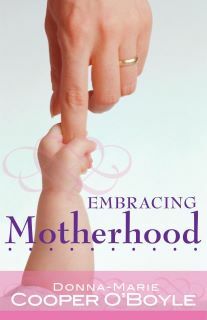 Embracing Motherhood: New and Exciting! Do you know where your Advent wreath is? December 25th is just a ' Holiday'. At Lowe's the word Christmas - was no where to be found. Sipping your Starbucks, listen to me. If you agree please forward, if not, simply delete. ﻿PLEASE LEAVE A COMMENT and even briefly let us know how you will be celebrating the Advent season in your domestic church as well as Christmas. What are some ways you will instill the real reason for the season into your family's hearts as well as to all you come in contact with. I'D LOVE TO HEAR FROM YOU! Radio chat on the saints, motherhood, and Catholic stuff! I'll be chatting with Dina Marie Hale this morning on KBVM Radio at 11:00 AM Eastern time. We'll be discussing the saints, motherhood, Mother Teresa, cool stories, and all kinds of good Catholic stuff! 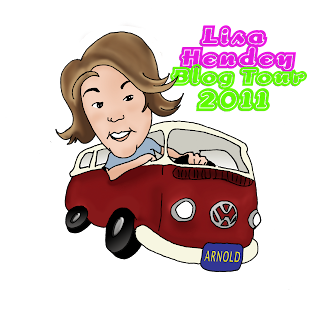 Have you seen Lisa Hendey's newest book? It's beautiful! 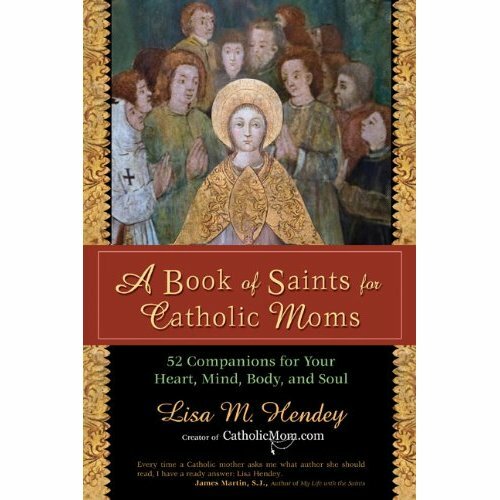 Notre Dame, IN— M. Hendey, founder of CatholicMom.com and bestselling author of The Handbook for Catholic Moms, again offers her guidance for mothers in the nourishing of heart, mind, body, and soul. 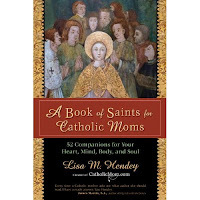 In her new book, A Book of Saints for Catholic Moms, Lisa Hendey presents fifty-two saints to act as companions in the many joys —and trials— of motherhood. With charisma and conviction, she applies the wisdom of the saints to a mother’s unique role, highlighting that these individuals “led ordinary lives and yet accomplished extraordinary things.” Lisa chooses men and women whose stories have influenced her personal perspective on motherhood and encourages fellow moms to welcome these Catholic leaders as both role models and long-time friends. Lisa Hendey’s companions include familiar intercessors such as Francis of Assisi, Teresa of Avila, and Mother Teresa, as well as lesser-known figures like Josephine Bakhita and Mother Théodore Guerin. Hendey marks each chapter with a symbol to signify which dimension —heart, mind, body, or soul—the saint is best known to influence and concludes each chapter with a discussion prompt or journaling question to ponder during the week. Lisa Hendey’s exploration of the saints is personal yet relatable, tradition-based yet filled with fresh insight. With shared pieces of her own parenting experience, Hendey offers innovative ways in which families can bring the examples of the saints into their homes and closer to their hearts. DONNA-MARIE: Lisa, your newest book is gorgeous! I sincerely think it's a masterpiece! As I read through your beautiful work I feel a sense of peace and even perceive the love in which you put into your writing. I can tell you have a strong devotion to the saints. Can you please give us a little background? For instance, when did you first start reading about and/or praying to the saints? LISA: Donna-Marie, thank you for your generous comments and support of my work! As you know, it’s a true thrill to see a project you’ve labored over for such a long time be “born” as a book, so thank you for celebrating this time of joy with me! I’ve had a devotion to the lives of the saints for years. Growing up as the eldest of five children in a Catholic family, the saints were a regular part of our lives. My parents and our favorite Irish priest, a dear family friend, shared their stories and brought them to life in a way that sparked my curiosity from a young age. Additionally, some time in the mid 1980’s, I borrowed an illustrated Lives of the Saints book that my mother had given my father and made reading about a saint each day part of my quiet devotional time. For years, in reading and praying through their intercession each day, I tried to focus on how their lives could inspire my own walk towards heaven. When you read about the saints, you can’t help but be inspired! 2) DONNA-MARIE: I had loved reading the story behind that well-worn saint's book you told about in your book, Lisa. I wholeheartedly agree that reading about the saints will certainly inspire one to strive for holiness. I love the layout of your book--the 52 weeks of inspiration--a saint a week. What do you want to accomplish by laying out the book in this way? LISA: Honestly, I know so many women (and men too) who desperately desire to have a full, active prayer life and yet who struggle with finding (or making) the time for daily devotions. Along with telling the stories of the saints, I had a great desire to make this book a prayer aid for women like myself. I hope we’ve created a tool that they can use to focus a portion of their day on learning about the saints, reading a small scripture portion, and cherishing a few quiet moments of prayer. In the book, we’ve laid out a format that encourages this daily quiet time. I’ve also written a family prayer through the intercession of each saint that can be prayed together, aloud, around the dinner table, in the morning, or perhaps before bedtime. We were aiming to make this a book that would support and encourage women and their families to learn to love the saints, to embrace quiet devotional time, and to pray and learn together as a family. The book also contains a variety of indexes that enable the reader to search for a saint by feast day, by patronage, or by the topics discussed in the book. I hope our readers will use the book in whatever way best helps them to gain a strong intercessory relationship with the saints. 3) DONNA-MARIE: You're right, people struggle with lack of time for daily devotions in our fast-paced world. Your book is really is very comprehensive yet not intimidating. How did you choose these particular saints? LISA: Honestly, choosing fifty-two saints for the book was one of the most challenging but also the most exciting parts of this project. I started with the desire to find saints for each of the four categories in the book: heart, mind, body and soul. The plan was to find thirteen for each of those areas. In the end, I could easily have included so many more saints – the communion of saints is filled with amazing role models of virtue. I organized the book in a way that best fit my relationship with these holy men and women. Along the way, I included many of the members of my “dream team” of saints and discovered several new friends too! 4) DONNA-MARIE: I can imagine how challenging it was to pick them. I once had to choose 32 saints for my prayer book. We are so blessed to have the communion of saints! Can you tell us how the saints have impacted your life, Lisa? LISA: I turn to them so frequently for their role model of holy living, trying to emulate in my own small way a tiny fraction of the grace they showed in their lives. With almost every saint I study, I am able to take away a lesson from the way they lived that I can endeavor to implement in my own daily life. Additionally, I firmly believe that our intercessory relationship with the saints can bring great blessing. I pray daily for so many intentions, including the welfare and safety of my husband and sons – I will admit to carrying on a regular “conversation” with their patron saints! I have a few saints who are my regular companions, but when a new or different issue arises one of my first spiritual instincts is to learn more about a saint who can serve as an intercessor in that situation. DONNA-MARIE: That's great, Lisa. Your family is so fortunate to have your prayers to the saints! Can you share a few of your favorite saints? LISA: I’ve shared in the book that my personal patroness for many years has been St. Therese of Lisieux. I know, Donna-Marie, that you had a “real life” relationship with Blessed Mother Teresa of Calcutta and that her impact upon your life has been phenomenal. While I never had occasion to meet the Little Flower in person, I’ve loved coming to know her through her writings. Hers is a spirituality that I can “fit” to my own circumstances. Her desire to serve as a missionary may have seemed counter to the life of a cloistered sister, and yet her path shows me that even in my own little corner of the world if I endeavor to do each task that fills my day with a deep love and if I offer them as my personal prayer, I too can help others to know and love God. I know I will never be a canonized saint – I fall far too short in many ways – but St. Therese reminds me to do my very best every day and to strive for sanctity despite my shortcomings. In the writing of this book, I discovered some new favorite saints, including St. Andre Bessette, St. Theodore Guerin and St. Gianna Beretta Molla. In truth, they are all my favorites and I meet new saintly friends all the time! 6) DONNA-MARIE: I love St. Therese so much too, as did Blessed Mother Teresa. As I'm sure you know, Bl. Mother Teresa wanted to imitate the "little" Therese not the "big" Teresa (of Avila). It's wonderful that you follow St. Therese's "little way of love." And, honestly, you shouldn't say you'll "never be a canonized saint." You never know! Lisa, what plans do you have for speaking and book signing? LISA: Thanks for asking Donna-Marie – I’m keeping a fairly active speaking schedule these days that includes large conferences, retreats, parish visits and women’s conferences. Friends who would like to follow my speaking calendar can find it regularly updated at http://lisahendey.com/media/. I’m also happy to “virtually” visit small groups and book clubs via Skype – I’ve done this several times and it’s a great joy to gather with women who have read my books and spend some fun time chatting about their questions and reactions to the content in the books. If your readers are interested in scheduling a Skype date they can contact me by email at lisahendey@gmail.com. 7) DONNA-MARIE: Yes, you sure do keep busy! Sounds wonderful about the skyping with your readership, Lisa. Is there anything else you'd like to tell us about your book or your journey in writing it? LISA: I do have to share that one highlight in my life happened during the writing of this book. I was invited to attend the first ever “Vatican Bloggers Meeting” in Rome and this event happened immediately after the Beatification of Blessed John Paul II. I was able to be present at the Beatification Mass and the Mass of Thanksgiving the following day. Standing in the Vatican and praying in the company of so many souls who have such a great devotion to “John Paul the Great” was a joy I can never adequately describe. Having the opportunity to pray the Rosary with a group of holy priests as we passed his casket in St. Peter’s was a moment I’ll never forget. This experience happened near the end of my time writing A Book of Saints for Catholic Moms and definitely impacted my chapter on Blessed John Paul II. The truth of the matter is that each of us has had very personal moments with this spiritual giant, and with the entire communion of saints, in our own lives. To be able to pray before his tomb and to thank him for his inspiration and service to our Church was a once in a lifetime experience. But honestly, the entirety of writing this book and coming to know these amazing saints has truly impacted me in ways I could never have anticipated. 8) DONNA-MARIE: That's wonderful, Lisa. And, that must have been such an amazing blessing to be there. I was with you in spirit! I love Blessed Pope John Paul II so much and pray for his intercession each day. I have always been so moved when I have prayed by his tomb. I'm sure the blessings you experienced there at St. Peter's had a profound affect on you when writing the book. Where can we get your book, Lisa? LISA: Gratefully, the book is available in many Catholic retailers around the country (some are listed here). Additionally, readers can find it at their local Barnes & Noble or online at Amazon.com. Thank you so very much for your kindness, Donna-Marie, in helping us to spread the word about this work. I hope that your readers will visit us at www.CatholicMom.com for additional resources to support them in serving their Domestic Church and living out their vocation. DONNA-MARIE: You are so very welcome, Lisa. I will certainly send the Catholic moms I know to Catholic Mom for the wonderful resources and Catholic camaraderie you have going on over there. Thank you very much for your time in doing this interview, Lisa and especially for listening to the Holy Spirit and putting in the work required to put out such a beautiful resource for today's Catholic mothers! May God bless everyone who reads your book! I thoroughly enjoyed writing this book and pray it brings much inspiration to families all over! 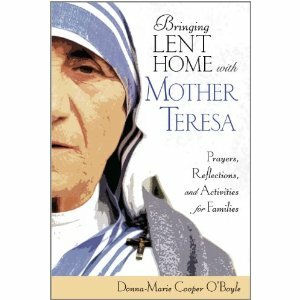 This daily companion for families draws from the wisdom of Mother Teresa, guiding parents and children alike to put her words into practice and “do small things with great love.” While most Lenten booklets focus on individual or small groups, this booklet is for families. Parents can pause and pray each day by reading a short quotation from Mother Teresa and using the Reflection for Parents as a touch point for their own prayer. It then provides the resources a parent needs to gather the family together for a time of prayer and conversation. Family prayer time that includes the quotation from Mother Teresa and a story about her life is followed by practical suggestions on how to put into practice each day the threefold call of Lent: to fast, pray, and give alms or care for the poor. On Sundays, the focus is drawn from the themes assigned to that Sunday of Lent and a project for the week ahead is suggested. The booklet can be used with any of the three Catholic lectionary cycles and is designed for use with children through preteen years. This book is available from my website www.donnacooperoboyle.com and from the publisher Ave Maria Press, as well as Amazon. Snow, snow, snow, no power and traveling! I had a very nice trip to my publisher's in Cincinnati recently to record an audio version of my upcoming book Embracing Motherhood. I'm very excited about it. It'll be released in January. I'll be leaving for Michigan tomorrow to give a talk in Kalamazoo, MI. Please keep me in your prayers for safe travel, dear friends! Thank you in advance! I'll write another post soon to fill you in.